The newspapers tell us that the economic climate is better than it was this time last year. However, I know I’m still in a cost-saving mode, and polls show that most of you are too. We here at Smart Office are always on the look out for new and creative ways to save money. The internet yields helpful tips, such as new uses for vinegar (is there anything that liquid can’t do?) as well as impractical tips. After all, are time so tough that I really have to join the Amish in making my own office furniture? While looking for new ways to cut expenses, it’s easy to overlook one method that makes great sense in any economic climate: buying in bulk. Bulk buying isn’t just for stocking up on enormous bottles of ketchup, or in my case, coffee in bags the size of newborn child. No, bulk buying is often the most economical way to stock up on the supplies you use the most, including a wide variety of office supplies. For example, every office needs a good supply of pens. BIC Clic Stic pens are among the most popular pens sold at OnTimeSupplies.com. A 12-pack of BIC Clic Stic pens sets you back $6.49 at OnTimeSupplies.com, unless you buy in bulk. You only spend $4.57 when you order BIC Clic Stic pens in bulk, a savings of 30%. Why wouldn’t you wouldn’t you cut your recurring expenses by 30%? It’s not just pens. 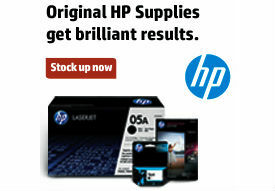 You reap significant savings on a wide variety of office supplies when you buy in bulk. At OnTimeSupplies.com, you’ll pay between six and 31% less when you order clipboards in bulk, and on bulk orders of virtually every other office supply. Buying in bulk is an even bigger money saver when you target the supplies you use at home and in the office, or the supplies that both you and your school-age children need. For example, sheet protectors in bulk, pocket folders in bulk and other school and office supplies all cost significantly less than purchasing those items individually. Since you go through those supplies like water anyway, do your self a favor and stock up. After all, you don’t just save money when you buy office supplies in bulk — you save time and frustration too. The office supplies you use every day are always on hand when you need them when you buy in bulk. So look out for bulk order discounts when you’re shopping for office supplies. It’s not just your wallet that will thank you.